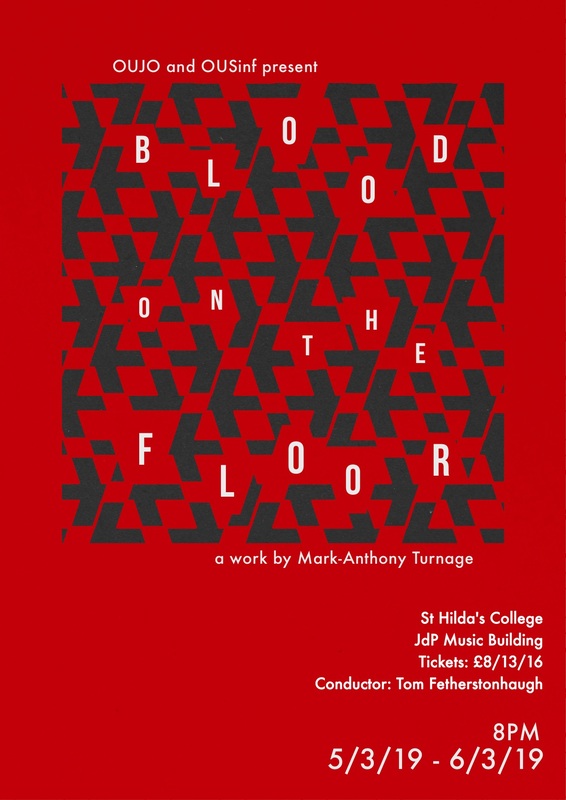 Oxford University Jazz Orchestra and Oxford University Sinfonietta join forces to bring you Mark-Anthony Turnage’s Blood on the Floor under the baton of Tom Fetherstonhaugh. First premiered in 1996, Blood on the Floor takes its name from the striking painting by Francis Bacon and is a raw and moving work fuelled by the pain of loss. The composer skilfully melds his jazz and contemporary voices into what is considered his ‘magnum “fusion” opus’ (Gramophone).